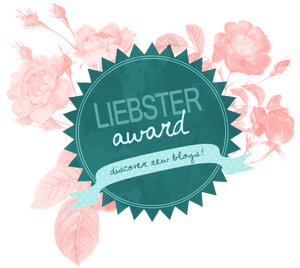 Thank you so much to Don’t Give a Jam for nominating me for the Liebster Award! You should definitely go and check out her lifestyle/beauty blog! She writes about everything I love and I have particularly been enjoying her blogmas! Here are the questions she set me! I have always loved to write but have struggled to find what I wanted to write about. When I had a bit more time on my hands than I wanted to due to a quiet gap in my acting career, I decided to take the plunge and start a blog! And I’m LOVING it! 2. If you could have an exotic animal as a pet, what would it be? 3. Do you ever eat dessert before dinner? 4. What’s your favourite song of the moment? I’m loving Louisa Johnson’s So Good and also any christmas song as it is only 4 DAYS TO GO! 5. What era would you live in if you could choose? The 1920s in America as I adore the fashion in that era! The music, the speakeasies, the dancing… looks like an amazing time! 6. What have you always wanted to try, but haven’t yet? I come from a dance background but I have also wanted to learn latin and ballroom dancing. Maybe I should add it to my new year’s resolutions?! 7. What’s your favourite thing to blog about? To be honest I love everything I blog about! Anything which excites me, I’ll write about! I particularly like blogging about places I have eaten as I am such a foodie! I also really enjoying taking food photos to put on blog posts. 8. Do you hit the snooze button when you wake up or get right out of bed? Usually I hit snooze… but I’m getting better at just getting up! Depends how early it is! 9. f you could hang out with one character from a book or movie, who would you choose? Ron Weasley from Harry Potter as I think he would make me laugh but could also show me some amazing magic! 10. If you could travel anywhere, where would you go? I really want to explore more of Italy (my heritage). I would love to go to Rome and Venice and I hopefully will in the future! 11. Do you believe in aliens? Why or why not? I do as I think we would be naive to thin that we are the only species in the universe. It’s a big place after all! What is your favourite in your Christmas dinner? Which is your favourite month of the year? Who do you prefer: Batman or Superman?! I hope you enjoyed you all get involved as I would love the read your answers and your questions! Much love to you all! Previous Post Let’s get festive!